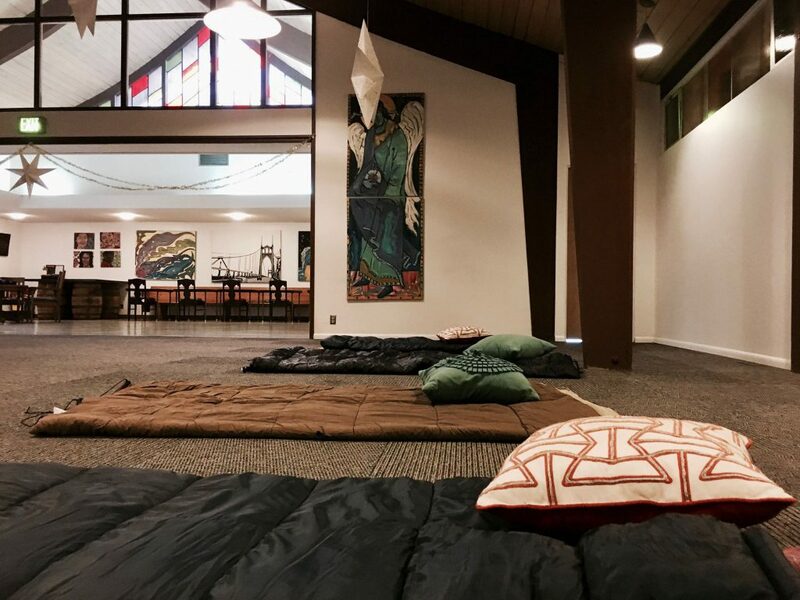 A ministry of Portsmouth Union Church, the North Portland Emergency Warming Shelter is able to provide a warm, safe place for houseless folks to sleep when it's dangerously cold. The collaborative effort of so many- churches, community members, and neighborhood businesses- saves lives in our community. When the temperature is expected to be 32 degrees or below, the emergency shelter is open overnight from 8pm until 8am at 4775 N. Lombard Street. Guest attendance ranges from 20-60 people each night. At least 8 volunteers are needed every night the shelter is open. Volunteers serve in pairs for either 2-hour or 4-hour shifts. While donations of food, clothing, and supplies are accepted, the GREATEST need is for volunteers. The 2016-17 season presented unprecedented challenges. The temperature sank below freezing over 50 nights and back-to-back snowstorms kept the shelter open for many stretches of consecutive nights. Well over 1000 volunteer hours were clocked- and the majority of volunteers were North Portland residents.